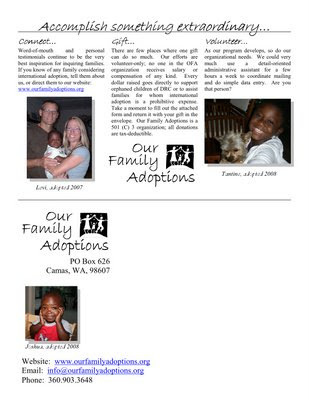 Attached is the end of the year newsletter for Our Family Adoptions. Please take some time to read it over, pass it on to others, and if you are able, make a contribution to this amazing organization. 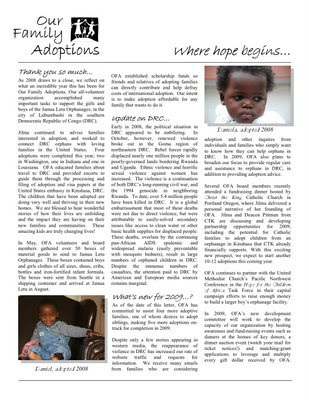 The need in DRC is so very great and every penny will help ease the suffering of an orphan or help bring a child home to a loving family.